Going straight for the jugular on this one. 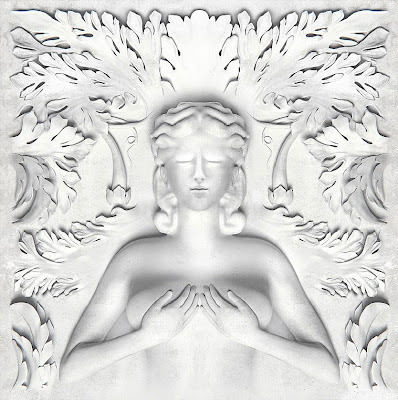 I just finished listening to "The Morning", a track off the compilation album of G.O.O.D music titled "Cruel Summer" due to be released few days from now. This track will, most def, arouse critics. Considering the lines of those that featured on it, saying stuffs about Illuminati. One particular line keeps ringing in my head and it goes like this - "I could never sell my soul, i gave it back to God at my christening". But that's not what got me seething tonight. "The Morning" is no doubt a rap track and our own Koko master, D'banj, who got featured on it, is not expected to do much on it. But making our own, respected, esteemed, prized D'banj to just cry like an hungry Man is totally unacceptable. What would an adrift lapdog like D'banj would have done? He doesn't have a choice than to play along and do as the boss says. Come to think of it. What's the essence of being signed under a label where you can't pull effect? D'banj was in Mercy Video alongside his G.O.O.D music folks, 2Chainz and Big sean did their thing. D'banj was just made to show his face at the latter part of the video. I can recall he, D'Banj, got featured on one of Lil issues' track, titled V.I.P, alongside Rick Ross. All he did was yell too. For how long is he going to continue yelling out there in the states? He probably got signed to add those kind of effects. Soundsultan once said in one of his tracks titled, King of My Country, that "I prefer to live like a lion in the jungle than to stay like a dog in the city". If D'banj knows what's good for him, he had better come back home to where he is respected and stop yelling in "No Man's land".